Just because you have to stop working, that does not mean that your monthly bills stop. If you are unable to work due to an illness or injury, it can be difficult to pay your car bill, rent or mortgage, your utility bills and more. That is why some employers offer Long Term Disability benefits through the Liberty Mutual Insurance Group. According to Liberty Mutual’s own website, “disability insurance can help cover daily living expenses”. If you are fortunate to have long term disability coverage, then you may indeed be entitled to financial support while you focus on your physical and/or mental well-being. 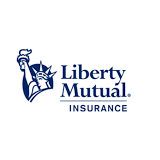 However, LTD benefits are not always paid out as they should be by insurance companies, including Liberty Mutual. Liberty Mutual has been known to deny long term disability claims based on a number of factors. For example, a Liberty Mutual denial letter may state that there is a general lack of supporting documentation or information. The denial may state that the claimant’s condition fails to meet the insurance policy’s definition of disability. The insurance company may have conducted surveillance and denied coverage or cut-off benefits because of video surveillance evidence that is inconsistent with a disability claim. Or, the claimant may have missed a deadline and filed the claim or appeal too late. ii. thereafter, the Covered Person is unable to perform, with reasonable continuity, the Material and Substantial Duties of Any Occupation. 3. earn between 20.00% and 80.00% of his Basic Monthly Earnings. 3. the provision by the attending Physician of standard diagnosis, chart notes, lab findings, test results, x-rays and/or other forms of objective medical evidence in support of a claim for benefits. When filing a claim for LTD benefits or appealing a denial under a Liberty Mutual disability plan, the guidance of an experienced Liberty Mutual disability lawyer can be extremely helpful and improve your chances of obtaining the benefits you are entitled to receive. Nick A. Ortiz is the founder of the Ortiz Law Firm and an experienced Liberty Mutual LTD claims attorney who understands the difficulties pursuing a Liberty Mutual claim for LTD benefits. Mr. Ortiz has helped dozens of clients in long term disability claims. He represents clients at the initial application stage, during the administrative review appeal process, and in state and federal court when a lawsuit must be filed. Briefing your case for consideration by a federal judge during the ERISA lawsuit. You don’t have to face your battle against Liberty Mutual alone. The Ortiz Law Firm is here to help in the application and appeal process. Contact our office today at 850-308-7833 to schedule a free consultation to discuss your case with an experienced Liberty Mutual disability claims lawyer.